San Diego has been inundated by bed bugs in the last few years. The reason for the recent surge is due to increased international travel, changes in pesticide and treatment as well as pesticide resistance. Bed bugs are a reddish brown pest, roughly 4 to 5 mm in length. Bedbugs can fit into cracks wide enough to fit the edge of a credit card. They can be found on their own, but typically congregate in groups. Typically nocturnal pests, they’re known to bite just before dawn, though they may feed at other times. Attracted by warmth and the presence of carbon dioxide, the bed bug pierces the skin of its host with two hollow tubes. With one tube it injects anticoagulants and anesthetics, while the other withdraws blood. The bites cannot usually be felt until some time later, as a reaction to the injected agents. Low infestations are difficult to detect, and most victims don’t realize they have bedbugs until the infestation is out of control. The bed bug is known as "the great hitchhiker" because it travels in so many ways. People can acquire bed bugs at hotels, taxi cabs or movie theaters. They also can pick them up by inadvertently bringing infested furniture or used clothing to their household. In many cases, bedbugs travel between walls in multi-unit dwellings (condominiums, hotels and apartment buildings), after being brought into the building. 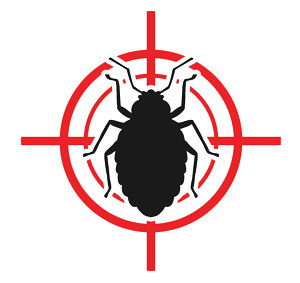 License-To-Kill offers three treatment programs based on your bed bug infestation level. License-To-Kill’s service technician will inspect every room in the home, treating all cracks, crevices, window sills, baseboards, shelves and dresser drawers. Next, our licensed bed bug technician will treat all infested mattresses, box springs, bed frames, couches, chairs and carpets. Finally, the technician will drill and treat any wall voids throughout the apartment unit or home. If your bed bug infestation is out of control, don’st despair! 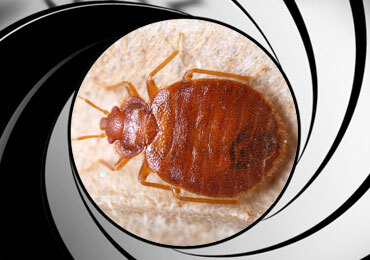 License-To-Kill offers total elimination of bed bugs through structural fumigation. License-To-Kill will tent fumigate the entire home or apartment building for bed bugs. Immediately after fumigation, we apply a chemical barrier to ensure bed bugs don’t re-enter the home. Our technician will treat every room in the home, treating all cracks, crevices, window sills, baseboards, shelves and dresser drawers. We recommend monthly service for bed bugs after your initial treatment for continuing control. License to Kill pest control provides monthly comprehensive, low toxicity residential pest control protection plans, which eliminate bed bugs, reassuring peace of mind. We specialize in bed bug removal and pest control. We also have extensive experience eliminating bed bugs in historical structures and controlling bed bugs for property management companies. At License-To-Kill, we understand pesticide sensitivity. If you’re allergic to pesticides, concerned about your pregnancy or are concerned with your pets or children, we care and are prepared to work with you. Please call us for bed bug control today. Get Rid Of Your Bed Bugs Today!